The focus of our services is to enhance independence and quality of life. 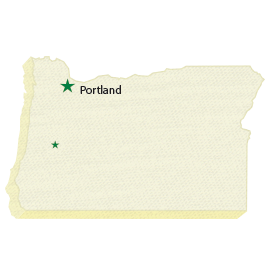 We are committed and available to provide services throughout Oregon as needed. Dungarvin Oregon works cooperatively with each individual, their family, support team and county/state entities to ensure quality services. We are committed to our mission of “Respecting and Responding to the Choices of People in Need of Supports”. Because each individual we support is unique, we provide services that are tailored to each person’s own hopes, dreams, goals and needs. We have proven to be successful in providing supports to individuals with complex medical and/or behavioral needs. Individual plans of service are designed around each person with whom we serve. We offer a vast range of services and supports in order to meet the needs and preferences of each individual. Dungarvin Oregon supports the philosophy and practice of supported living, community inclusion and self-determination. Common services provided are listed below. Actual services and levels of support would be adjusted based on the needs and desires of the individual being supported. This program offer vocational and Alternative-to-Employment services for those who attend. Our Day Services are provided to individuals in the greater Eugene area. Dungarvin supports individuals in Supported Employment to identify and obtain a job in an integrated employment setting in the general workforce. We provide initial and/or ongoing supports to maintain individualized employment. We are currently approved by Vocational Rehabilitation to provide comprehensive employment planning and job development enhancements. Dungarvin Oregon provides individualized supported living services for those who choose to live in their own homes. Currently, we contract to provide supported living services to individuals living in Washington, Multnomah, and Clackamas counties. Currently, we provide residential services to more than 72 individuals living typical homes throughout the community.